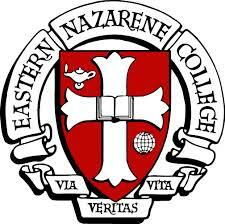 Located on Boston̠s historic south shore, within walking distance of Quincy Bay, Eastern Nazarene College (ENC) is a fully accredited traditional liberal arts college. ENC has 1,459 students distributed across a traditional residential undergraduate program, adult studies, and a graduate program. ENC is known for its success in getting students into top graduate and medical schools and has a 100 percent acceptance rate for its students into Law School. While many faculty are active in publishing and research, and some are leaders in their fields, the emphasis is on the teaching and mentoring of students in a nurturing, spiritually informed, and academically supportive environment. Students are encouraged to travel, engage in service learning projects, and participate in praxis experiences as a part of their education. ENC is one of 160 members of the Council for Christian Colleges & Universities (CCCU).